Congress has blocked funding for transferring any detainees from Guantanamo Bay into the United States for the 2009 budget year ending Sept. 30. President Barack Obama has ordered Guantanamo facility closed by January 2010. WASHINGTON – The Pentagon's top lawyer said Friday that the Obama administration has not abandoned the possibility of transferring some prisoners from the Guantanamo Bay detention center to a prison in the United States despite strong congressional concerns. Defense Department general counsel Jeh Charles Johnson told the House Armed Services Committee that some suspected terrorists might be transferred to the U.S. for prosecution and others sent to a facility inside the U.S. for long-term incarceration. Administration officials had raised those possible moves before, but Congress in June passed a law that would allow detainees held at the Navy-run prison in Cuba to be transferred to the U.S. for prosecution only after lawmakers have had two months to read a White House report on how it plans to shut the facility and disperse the inmates. The law is silent on whether Guantanamo detainees can be held inside the U.S. if they do not have a trial pending. Johnson also said no prisoners would be released from custody inside the country. Both civilian federal jails and military prisons are being considered for potential future incarceration for prisoners facing criminal prosecution, military tribunals, or long-term detention without a trial, Assistant Attorney General David Kris said at the same hearing. More than 50 have been cleared for release and an administration task force is still sorting through the remaining 229 prisoners to determine their fates. The panel has reviewed about half the cases, according to a Justice Department official who asked not to be named because he is not authorized to discuss the matter publicly. Government lawyers in both the Obama and Bush administrations say that an unspecified number of detainees should continue to be held without trial. Some of the evidence against them is classified or thin, and the government fears these most dangerous detainees could be released should they be given their day in court. Johnson also said the Obama administration has not yet determined where it will hold newly captured al-Qaida or Taliban prisoners for extended detention after Guantanamo Bay's prison closes. 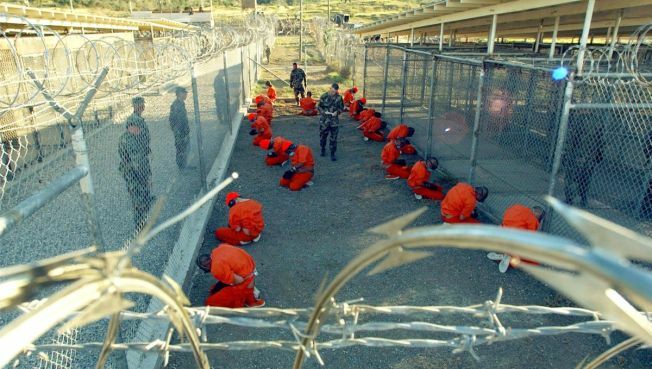 The Bush administration established the jail at Guantanamo shortly after the Sept. 11 terrorist attacks to hold and interrogate suspected terrorists. It has held about 780 prisoners. About 550 of them have been returned to their home countries or resettled in other places. Roughly another 50 have been approved for transfer to other countries, pending the acceptance of those governments. The Obama administration on Friday signaled it intends to bring a second Guantanamo Bay detainee to the United States for trial in criminal court. Federal prosecutors told a court Friday they no longer plan to hold Mohammed Jawad as a wartime prisoner. Jawad is not likely to be transferred soon. For the time being, prosecutors say, he will remain at Guantanamo while an "expedited" criminal investigation is conducted. So far, the only Guantanamo detainee brought to face trial in a U.S. criminal court is Ahmed Ghailani, who was sent to New York in June to face charges he helped orchestrate two bomb attacks on U.S. embassies in Africa in 1998.